In a bright sign for all industries, jobless claims in the U.S. declined unexpectedly last week to hit 253,000, the lowest since November of 1973. Jobless claims are a measure of the number of Americans filing for unemployment, and their decrease indicates employers that are upbeat about the economy, increasing hiring and expanding employee headcount. The number of continuing claims from those already receiving unemployment benefits also fell, and for 58 consecutive weeks claims have been below the 300,000 level that economists say is typically consistent with an improving job market. Data from the labor department also indicates more employees voluntarily leaving their jobs, indicating confidence that they will be able to find another. Besides the economic growth that brings revenue to small businesses, a decrease in claims also means lower rates of unemployment insurance – good news all around for the hospitality industry. Structuring your restaurant ownership is a balance of needs, wants, sweat, and cold hard cash. There is no one right formula, and rarely is the formula the same from restaurant to restaurant. In this month’s Enterprise Insight, we discuss some common options, and how to balance your narrative and numbers. Specifically, we will review entities, equity vs. profit distribution, management fees, and valuations. Restaurants are most commonly set up as a Limited Liability Corporation. More importantly, though, is to actually set up two: one for the physical location, and one for the intangibles, such as intellectual property. The purpose of this is to balance the equity and access to the brand that an investor group has. For example, if you publish a cookbook with only one LLC—then your investors, who have equity in that LLC, are entitled to a share of those profits. This leads to our second point, equity and profit distribution. The first thing to determine is the ownership interest of the involved parties and how that differs from the profit distribution. As an LLC, which most foodservices enterprises should be, the business can distribute profits differently than the equity is split. This allows an owner to retain a majority stake but pay out his or her investors with an accelerated distribution. Accelerated returns are common, but they can handicap the enterprise if the operator is left with nothing to help fuel growth. This is part of the reason why we advise owners take a management fee. As the creators and operators of a concept, owners should consider pulling a management fee from the top line, especially if the concept is or will be multi-unit. This allows owners to accomplish two things: fund the centralized back-office operations and lower his or her risk by not relying on profits for compensation. This is particularly important for operators with a pre-existing brand or background in the space. These management fees get directed to the holding corporation that we previously discussed. Think of this as protecting the intellectual property and creating a salary for the developer. Generally, the more an investor wants in equity and distribution, the more important a management fee is. Determining the mix of management fees, equity, distribution, and ownership locations is always murky. Some operators say the idea is worth 33%, the work is worth 33%, and so their sweat equity is worth two thirds. 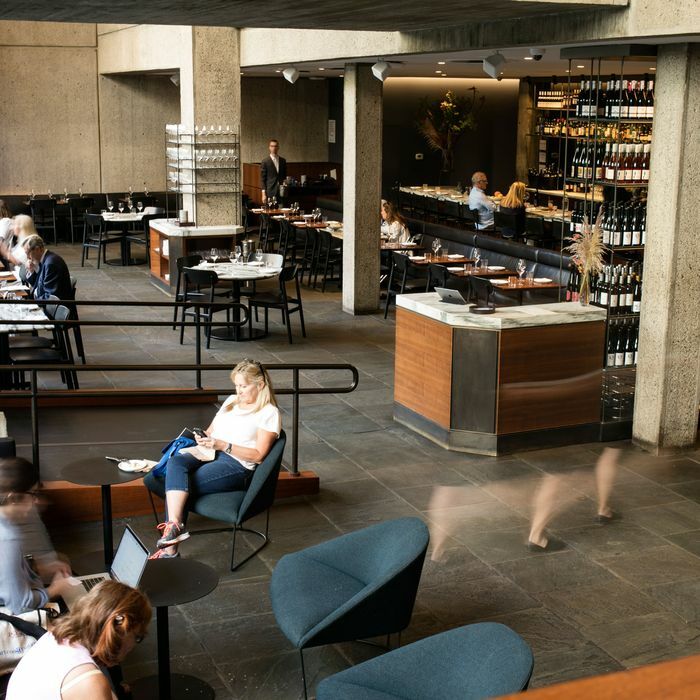 Some operators base the valuation on a multiplier—usually five to six times—of the third year’s EBITDA, usually the year the restaurant hits its stride. Ultimately, we advise that operators ask two questions: what must prove true, and what happens when? The right formula is based on your needs—what you need to see happen with the business—and your comfort with balancing risk and reward—what you do when the good and bad happen. 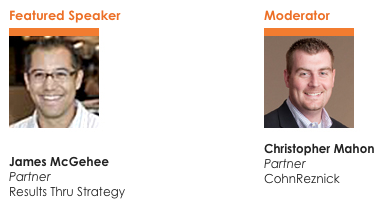 CohnReznick LLP, one of the top accounting, tax, and advisory firms in the United States, will hold the second session in their Hospitality Webinar Series on May 21st titled The Technology Landscape: Understanding What You Need and What Works. This webinar will cover the past, present and future of hospitality industry technology and identify the best platforms based on a company’s technological need. The webinar will be moderated by Christopher Mahon, Partner at CohenReznick and will feature James McGhee, Partner at Results Thru Strategy. The series goal is to present webinars focused on the financial and operational issues that face hospitality companies. Other upcoming topics for the series include Public Relations and Social Media Strategies, The ABCs of Lending: The Finance Market for Restaurants, Both Big and Small and Legal Issues for the Hospitality Industry. CohnReznick, headquartered in New York, offers specialized services for middle market, Fortune 1000 companies, private equity and financial services firms, government contractors, government agencies, and not-for-profit organizations. Founded in 1919, they have over 300 partners, 2700 plus employees and bring in an annual revenue of more than $500 million dollars. A request was made for clarification from the FDA on their view on aging cheese on wooden boards. An FDA official responded that cheese shouldn’t in fact be aged on wooden boards without realizing the impact this would have on the cheese business. Within a couple of days the FDA retreated the statement due to the backlash of the press and the general panic of artisanal cheese makers. Although the artisanal cheese business is quite small the potential regulation still would have had an enormous impact on their production. There is no indication however that this aging process which has been used for centuries could be harmful to our health. Critics of the FDA believe that more time should be spent focusing on bigger food production businesses that could pose more widespread threats rather than meddling with artisanal producers. Specialtyfood.com released their list of 15 Under 35: Food Entrepreneurs Making Waves. The 15 featured entrepreneurs are from all over the country and run the gamut from a specialty tea company, an inventive wine retailer, to an online job search engine catered to the food industry. These innovative business owners might be young, but each has proven a new model for success and are redefining how we view and consume specialty foods.